A few strange things have appeared on Google maps recently, first there was Edward Snowden’s den listed within the White House and now a new Android Mascot has appeared on Google Maps. The Android Mascot that has turned up on Google Maps is actually peeing on an Apple Logo, this can be seen on Google Maps here. 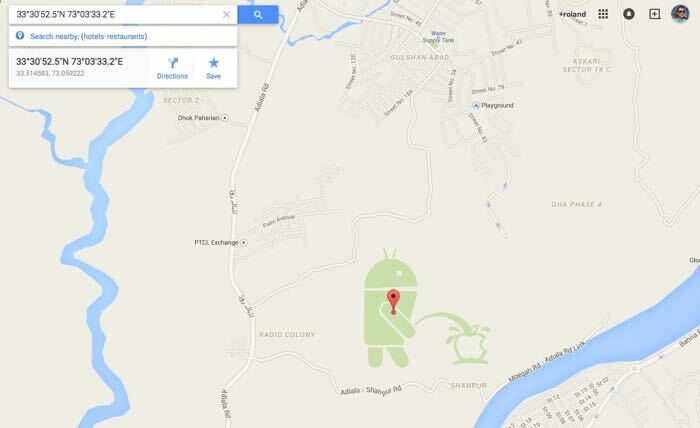 It is not clear as yet exactly who is responsible for this Android Mascot peeing on an Apple Logo in Google Maps. The image appears on both the web versions and mobile versions of Google Maps but it does not show up on the satellite version of Google Maps. This could be a joke by someone at Google or it could have been added to Google Maps by someone else, as soon as we get some more details, we will let you guys know.